BOSCH 0281002493 ,0281002872 PRESSURE CONTROL VALVE 1933.38 ,1399.25 ,1933.25 ,. PART NUMBER- 0928400726. FIAT DUCATO 2.3 D MODELS 2006-ON. IVECO DAILY IV 2.3 D MODELS 2006-ON. 0 986 437 085. 0 445 010 318. 0 445 010 317. 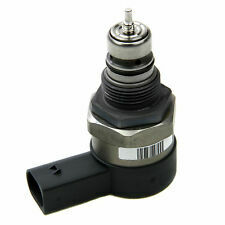 Fuel pressure regulator valve to Suit Iveco Daily and Fiat Ducato 2.3JTD. FIAT DUCATO 2.3 D MODELS 2006-ON. This Will Fit Most Fiat Ducato 2.3 D Models From 2006 Onwards. Iveco Daily IV 2.3 D Models 2006 Onwards. Genuine Quality Part. Part Number 0928400726 / 71754810 / 0928400728 / 0928400619 / 0928400648. 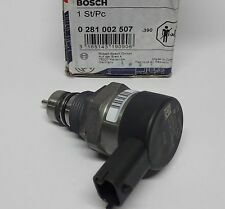 New Genuine BOSCH Common Rail System Pressure Control Valve 0 281 002 858 Top G. Condition is New. Dispatched with Royal Mail 2nd Class. VAUXHALL / OPEL MASTER II 2.2 DCI. MASTER II 2.5 DCI. This Will Fit The Following Vehicles. Genuine Quality Part. Part Numbers 0928400672, 0445010140, 0445010196, 0445020119, 16700-00Q1B, 8200754783, 8201089213, 8200503230, 1034730, 0445010140. Lambda Sensors. Heater Motors. Rotor Arms. Fan Couplings & Magnets. Belt Tensioner Wheels & Bkts. Brake Master Cylinders. Suspension Ball Joints. Wheel Bearing Kits. Heater Motors. Fan Couplings & Magnets. Belt Tensioner Wheels & Bkts. Brake Master Cylinders. Suspension Ball Joints. Rear Lights. Fitting Position: High Pressure Pump (low pressure side). Front Exhausts Cats. Genuine BOSCH 0928400768 ,1462C00987 PRESSURE CONTROL VALVE REGULATOR for VAG ,. PART NUMBER: BOSCH 0928400768, 1462C00987. BOSCH 1462C00987. VAG 03L130755 ,03L130755A ,03L130755R ,03L130755J . PRESSURE REGULATOR. This is a genuine BOSCH product from GERMANY. Injection Pressure Regulator. Fits Fiat Ducato And Iveco Daily 2.3L 2287ccJTD (2006-Onwards). Fiat Ducato Iveco Daily Boxer Relay 2.3JTD Turbo Manifold Gasket 500378462. Fiat Ducato Iveco Daily Peugeot Boxer Citroen Relay 2.3JTD Oil Filter 504091563. BOSCH 0281002493. BOSCH 0281002493 can be used in car models CITROEN 1399 25 ,1399.25 ,1933 25 ,1933.25 ,1933 38 ,1933.38 ,139925 ,193325 ,193338 . PEUGEOT 1399 25 ,1399.25 ,1933 25 ,1933.25 ,1933 38 ,1933.38 ,139925 ,193325 ,193338 . 5 out of 5 stars - BOSCH 0281002493 ,0281002872 PRESSURE CONTROL VALVE 1933.38 ,1399.25 ,1933.25 ,. 3 product ratings3 product ratings - BOSCH 0281002493 ,0281002872 PRESSURE CONTROL VALVE 1933.38 ,1399.25 ,1933.25 ,. Heater Motors. Fan Couplings & Magnets. Belt Tensioner Wheels & Bkts. Pressure Relief Valve. Suspension Ball Joints. Wheel Bearing Kits. Rear Lights. Front Exhausts Cats. PART NUMBER: BOSCH 0928400680. OPEL 95511388 . FIAT 71754571 . LANCIA 71754571 . PRESSURE REGULATOR. This is a genuine BOSCH product from GERMANY. FIAT BRAVO MK 2 HATCH 1.6 D Multijet 03.08 - 66 90 1598 4 198 A6.000. OTHER PART NUMBERS Excellent Service. Warranty Provided 12 Months. BOSCH 0928400607. 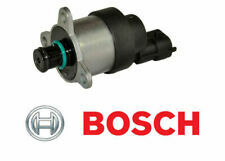 BOSCH 0928400607 can be used in car models BOSCH 0 928 400 802, 0928400802 . CITROEN BERLINGO 2008. CITROEN BERLINGO Box 2008. CITROEN BERLINGO Box (M_) 1996. CITROEN BERLINGO (MF) 1996. A-CLASS - A 160 CDI. A-CLASS - A 170 CDI. C-CLASS - C 200 CDI. E-CLASS - E 220 T CDI. C-CLASS T-Model - C 220 CDI. V-CLASS - V 220 CDI. C-CLASS - C 220 CDI. C-CLASS- C 220 CDI. BOSCH 0281006074 ,0281006075 PRESSURE CONTROL VALVE REGULATOR VAG 057130764AB ,. PART NUMBER: BOSCH 0281006074. AUDI 057130764AB ,057130764AA . SEAT 057130764AB ,057130764AA . SKODA 057130764AB ,057130764AA . BOSCH 0281006075 . BOSCH 0281006074. VAG 059130090BJ ,057130090T ,057130089Q ,04B130093 ,03L130089J ,03L130089Q ,04L089B ,04L130089D ,03L130089N ,04L130906 ,04L089B ,04L089D ,03L089N ,04L906 . 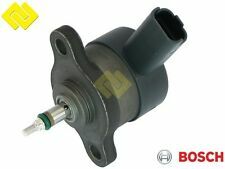 BOSCH 0281002507 can be used in car models the force of the electromagnet aids the spring, reducing the opening of the valve. The valve opening is varied by its solenoid coil being pulse width modulated at a frequency of 1 KHz. PART NUMBER: BOSCH 0281002991. BOSCH 0281002991. PRESSURE REGULATOR. Fitting Position: High Pressure Pump (low pressure side). This is a genuine BOSCH product from GERMANY. and so increasing fuel pressure. BOSCH 0928400607 Pressure Control Valve Regulator for CITROEN / FORD. PART NUMBER: BOSCH 0928400627. BOSCH 0928400617 . PRESSURE REGULATOR. This is a genuine BOSCH product from GERMANY. Fitting Position: High Pressure Pump (low pressure side). Injection Pressure Regulator. Genuine BOSCH 0281002584 PRESSURE CONTROL VALVE REGULATOR ,73503347 ,93177364 ,. PART NUMBER: BOSCH 0281002584. Analogous, Fully interchangeable parts with BOSCH 0281002584 FIAT 73503347 . GMC 93177364 . LANCIA 73503347 . OPEL 93177364 . VAUXHALL 93177364 . PRESSURE REGULATOR.